Join the Mystery Hillbillies for a Sunday afternoon of great food and drink, community and some classic country, rockabilly, boogie and blues for your dancing and listening pleasure. 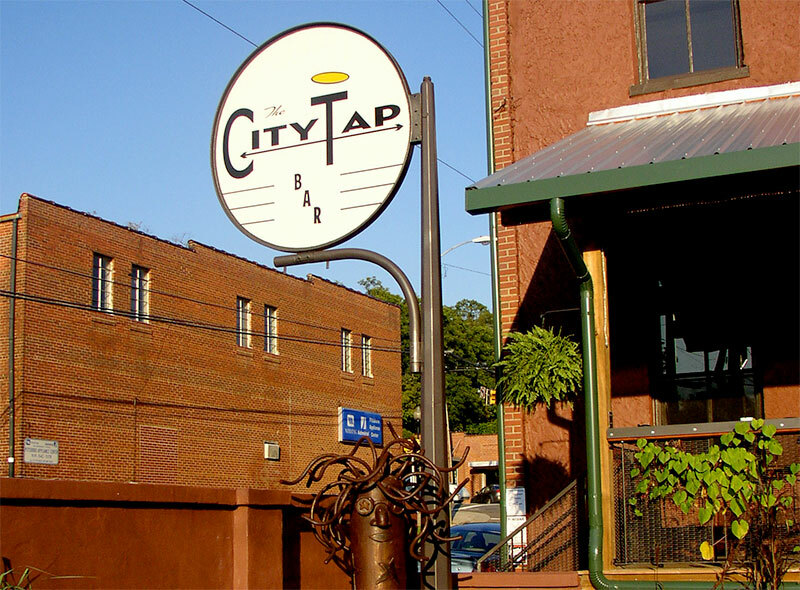 The City Tap is in Pittsboro- right in the heart of Chatham county. It is a wonderful neighborhood bar that is a regular stop for so many of the very interesting people that live in and around that part of Chatham county. They have great food, much of which is locally sourced, and a full bar with microbrew beer, hard cider, and Blenheim’s ginger ale, among other fine beverages. The patio is covered by a large roof with a huge ceiling fan. The crowds are always friendly and fun. Bring your dancing shoes. Tim Shearer and Colby Jack will be my Hillbillies for the day.